During a long absence from our family it is usual to write home to let those we love know how we are doing, to tell them of our joys and sadness, of those things we have received and of those which we desire. How happy our mothers are to receive such a letter, reading it over and over, looking for any requests of ours which they might be able to satisfy — mothers always like to do things for their children. If this is so for our earthly mother, how much more must it be true for our heavenly mother? The difference is that there is nothing that our heavenly mother cannot obtain for us from her Divine Son! She only needs to be asked and what better way to ask her that by a letter? Every Saturday on Papa Stronsay we make the Perpetual Novena to Our Mother of Perpetual Succour. During this devotion, letters, petitions and thanksgivings which have been written to Our Lady are read out and the community offers the prayers of the Novena the intentions included therein. 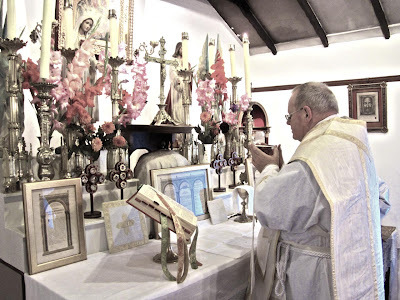 The petitions are then placed before the image of Our Mother of Perpetual Succour, enshrined above the altar, and there they stay for nine weeks. 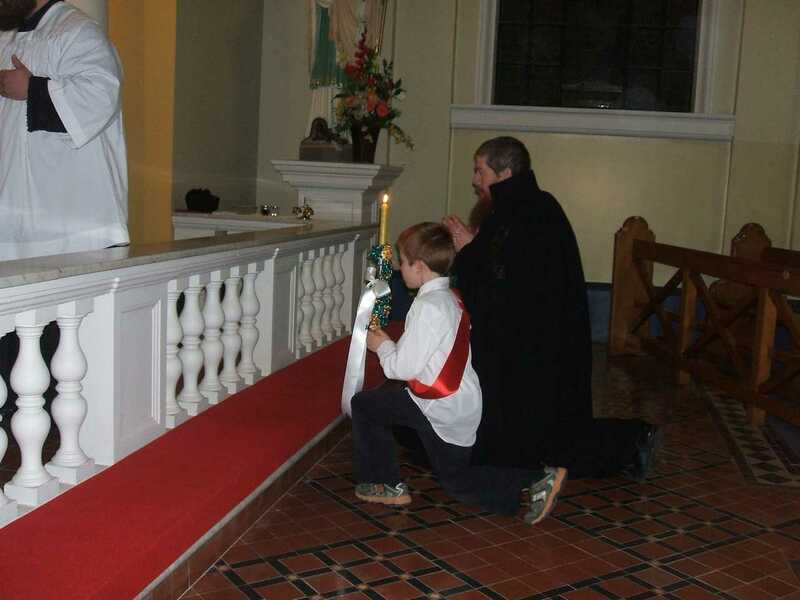 Each of those nine weeks, the new petitions and thanksgivings are read out, and those of the previous weeks are included in the prayers. You too can write to your Holy Mother in heaven, laying before Her your troubles and your wants, telling Her of your joys and thanking her for the graces she has bestowed upon you. All you need to do is go to our Novena page here and write a letter to Her. It is anonymous; there is no need to leave your name or contact information. 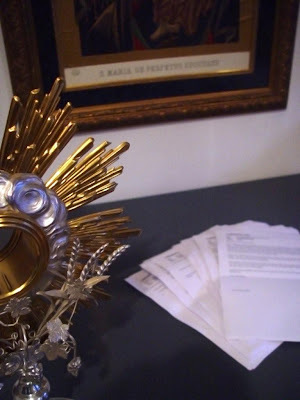 Write to Her today, and every week so that the Fathers and Brothers of our Congregation can pray for your intentions to Our Mother of Perpetual Succour! Petitions ready to be offered to Our Mother of Perpetual Succour. 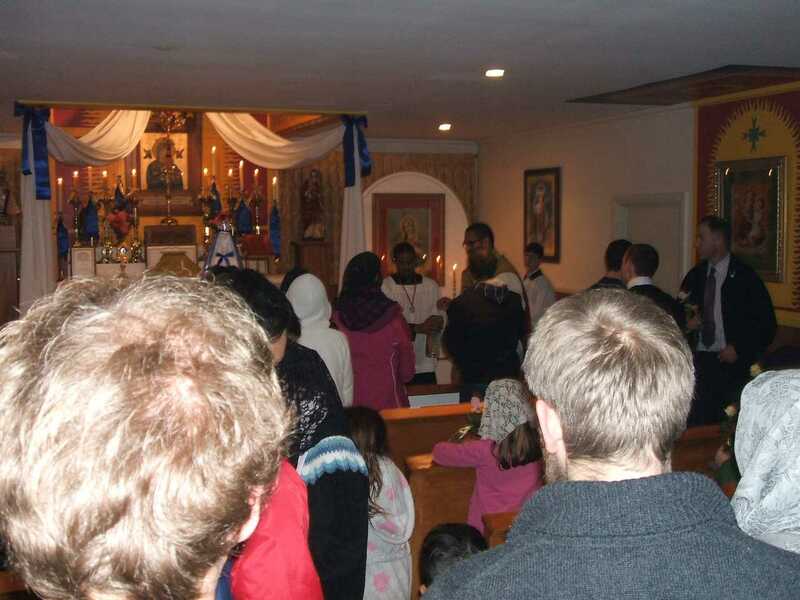 During the Novena devotions the petitions and thanksgivings that are not marked as private are read out for the members of the community to pray for. 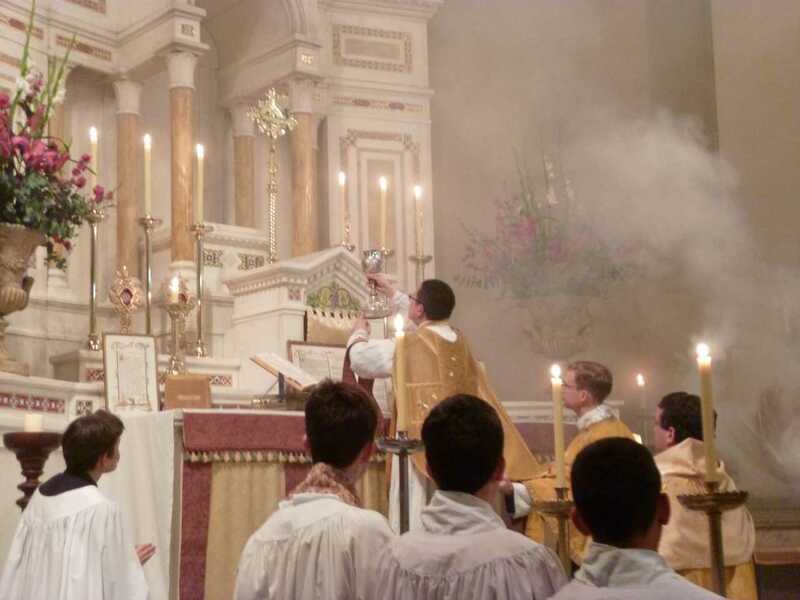 Following the prayers of the Novena comes Benediction of the Most Blessed Sacrament. Write your petition today and every week! Once a month, on the third Friday, one of the priests of our Congregation travels to Timaru, New Zealand, which is in the south of Christchurch diocese. 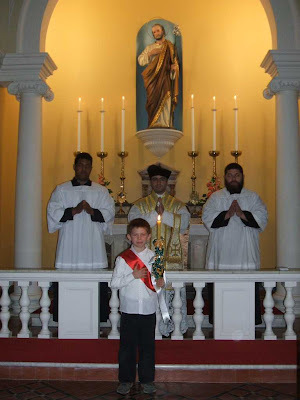 There he celebrates Mass in the Basilica of the Sacred Heart at the altar of St. Joseph. 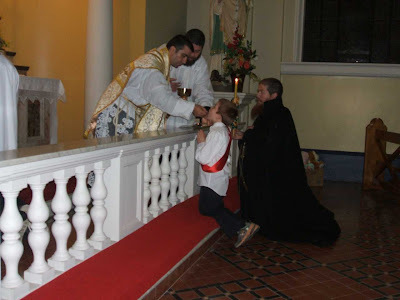 This month Fr Yousef Marie, F.SS.R. made the journey of approximately 100 miles. Father had the joy of administering First Holy Communion to a young man, Ethan Marshall. ...of that great moment when the King of kings, and Lord of lords deigns to make His Infinite Self Ethan's food! May Our Blessed Lady obtain for him the grace of perseverance in grace until the end. St Joseph, pray for him! The feast of the Assumption of Our Blessed Mother, Mary, as celebrated by our confreres in Our Mother of Perpetual Succour Monastery, Christchurch New Zealand. 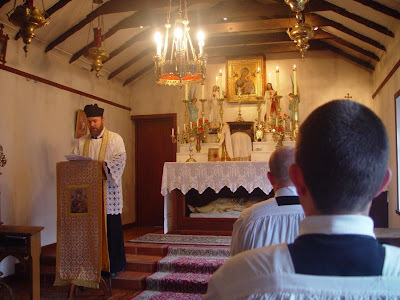 The priests of our Congregation provide Holy Mass in several Churches in Christchurch including our own Monastery oratory. 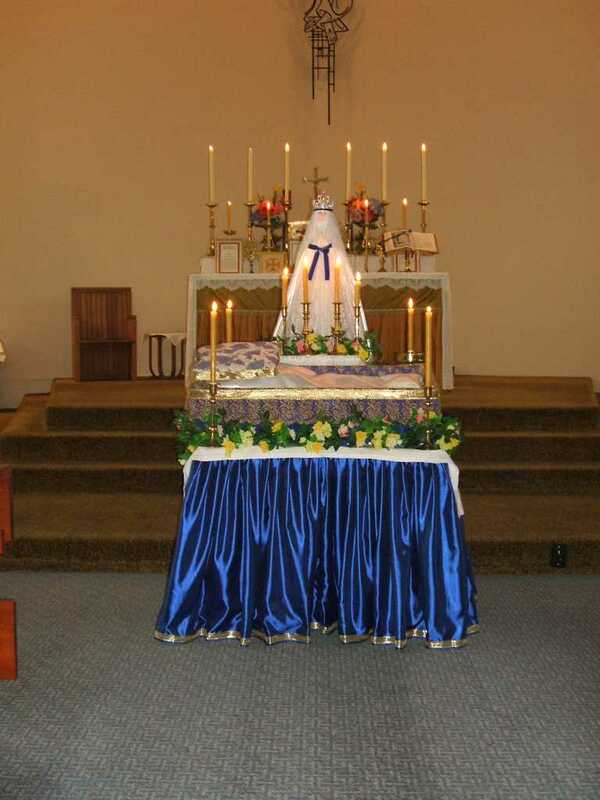 At St Teresa of Lisieux church in Riccarton, the altar is prepared for the celebration of Mass. For the edification of the faithful, a beautiful shrine in honour of our Queen assumed into heaven has been erected in front of the sanctuary. 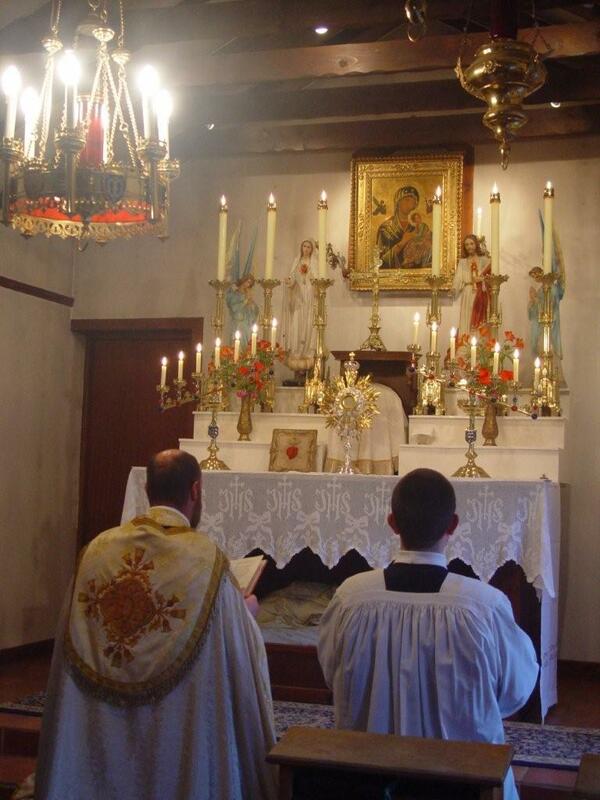 Before Holy Mass in the oratory of Our Mother of Perpetual Succour Monastery. 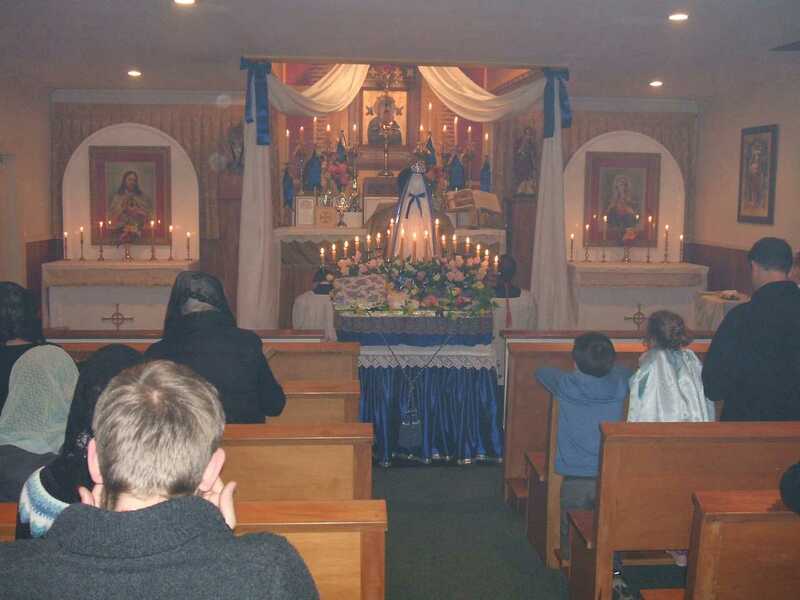 Here also a shrine was erected to honour Our Lady, Mary. 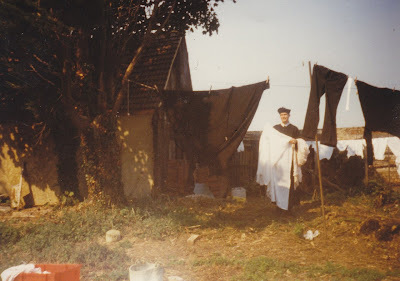 Fr Magdala Maria, F.SS.R. celebrated the sung Mass. What a lot of anniversaries there have been during this month of August! 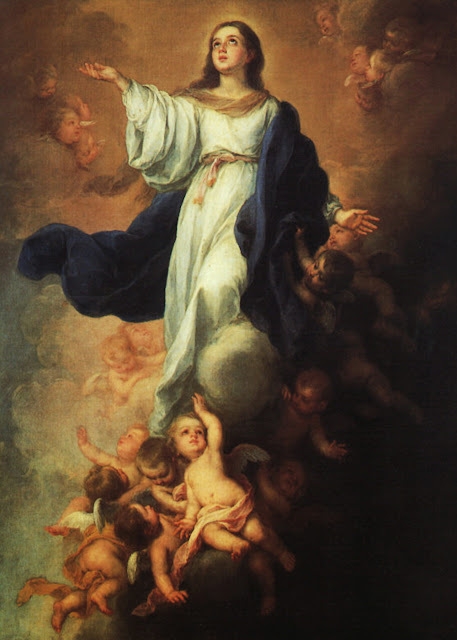 Today, the 15th August, Feast of Our Lady's Assumption into heaven, we celebrate our first anniversary as a canonically recognised Congregation within the Catholic Church. The official decree can be seen below. One year on we thank Bishop Hugh Gilbert, O.S.B. for his gracious act of receiving us into the church as an officialy recognised Religious Institute. 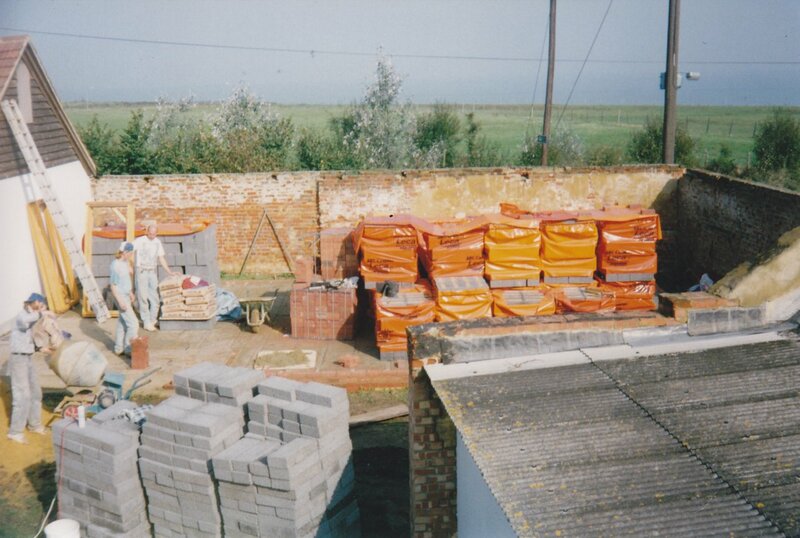 Thank you also to all those who have been a support to us over the last year, and indeed throughout the last 25 years. May God bless you all! Sweet Mother of Perseverance, obtain that we may all one day be with you in heaven! 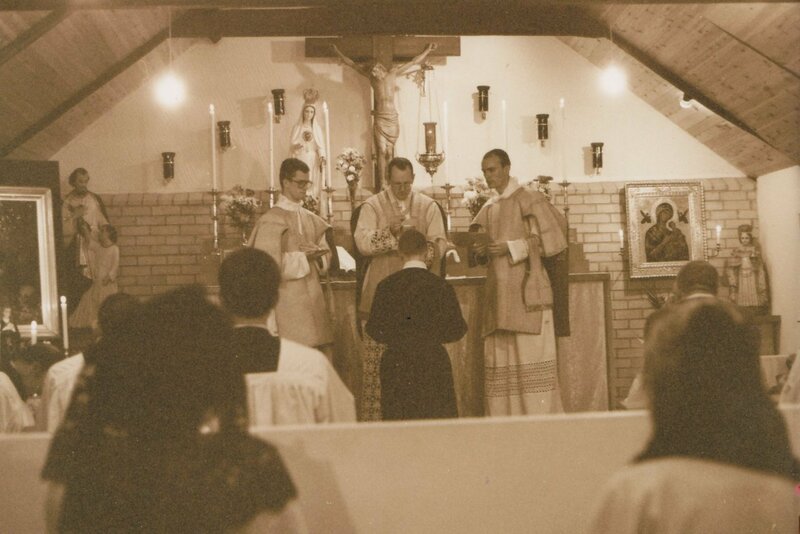 35th Anniversary of Ordination of Very Rev. Fr Michael Mary, F.SS.R. Today Very Rev. 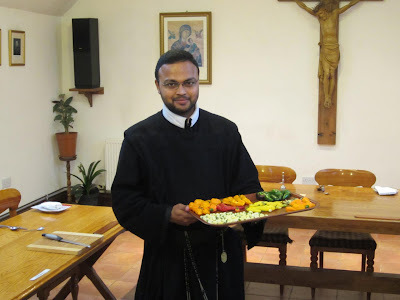 Fr Michael Mary, F.SS.R. 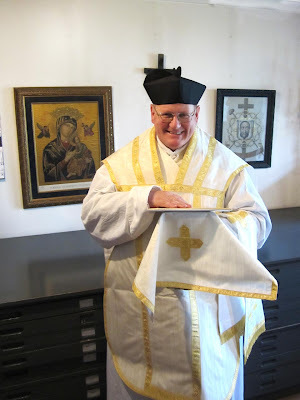 celebrates 35 years as a priest of God. We thank him for those many years of service to the Church, to souls and especially to us, the Congregation of the Sons of the Most Holy Redeemer. Father celebrated Holy Mass this morning in the chapel in Papa Stronsay. 35 years ago today this young Deacon knelt before his bishop to receive the the Holy priesthood from his hands, in an unbroken line back to St. Peter himself! Thank you Father for this courageous sacrifice of yourself to and for the Church. 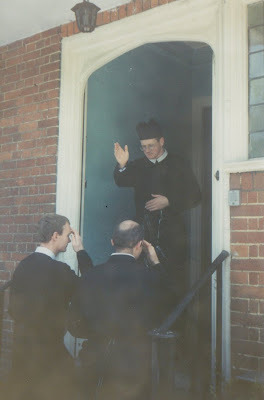 May God bless you Father and grant you many more years for the exercise of your sacred ministry. Thank you on behalf of all those whose souls you have helped towards their eternal salvation! 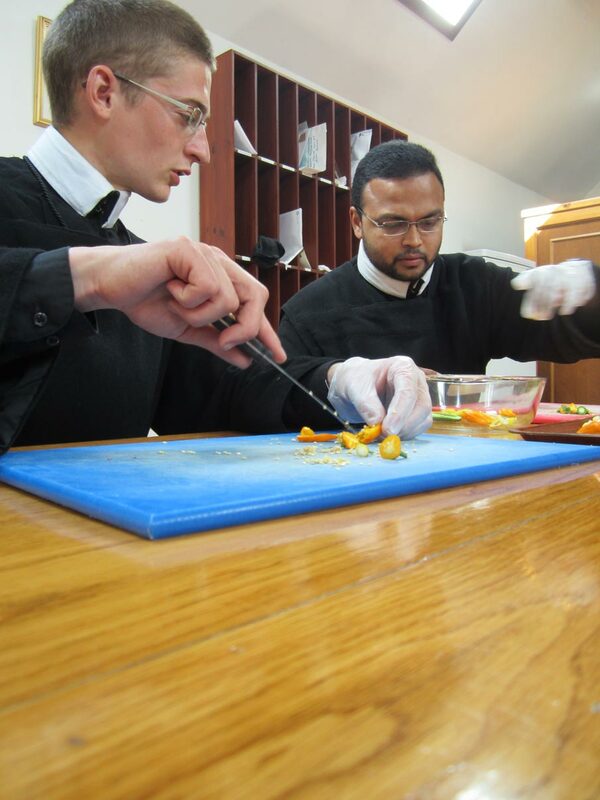 Thanks to a benefactor's kind donation of seeds, this year Br Jean Marie, F.SS.R. 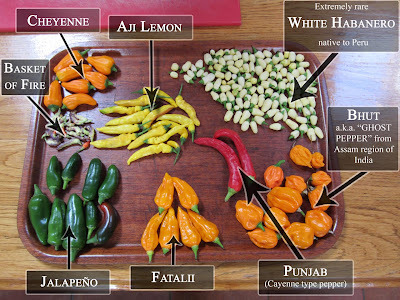 has grown a whole selection of chili peppers. 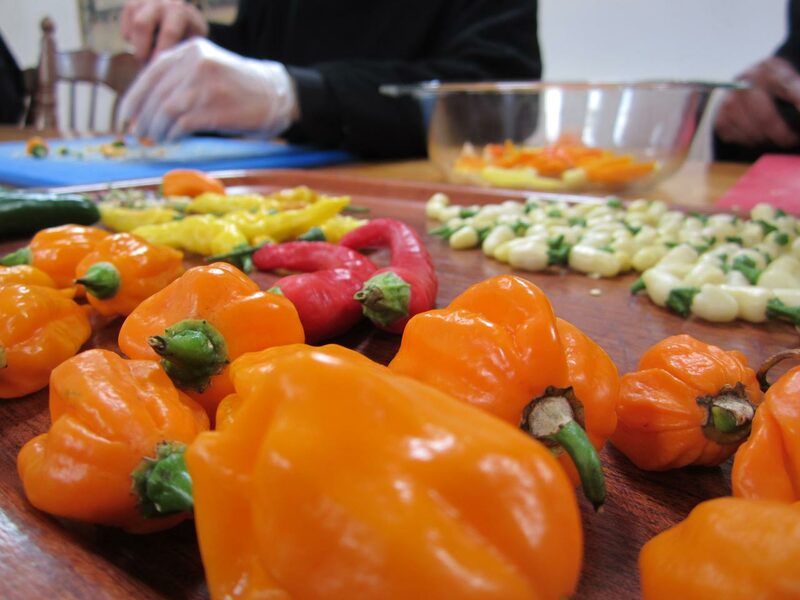 He has grown a selection of the different seeds which were so kindly sent to us, one of which is currently ranked as the third hottest variety of chili in the world! 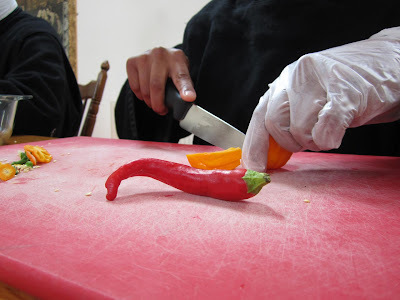 The first batch of chilies to be ready for harvesting have been picked. Brother has grown eight varieties so far. The only one which has not turned-out as well as it could have is the Basket of Fire variety. The particular variety of the Bhut, or Ghost Pepper, which Brother grew is the third hottest chili in the world. You can click the image if you would like to see it in greater detail :). The chilies having been sampled, they are now going to be made into a hot sauce. Here Br. 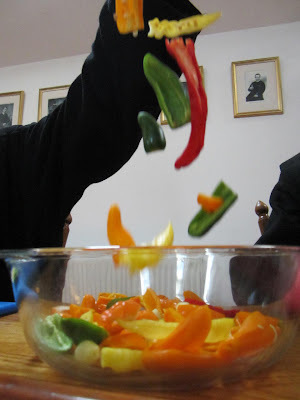 Seelos assists in preparing the peppers. The Bhut pepper is in the foreground. Gloves are worn as capsaicin (the chemical in chilies which makes them hot) can burn the skin. Removing some of the seeds. Br. 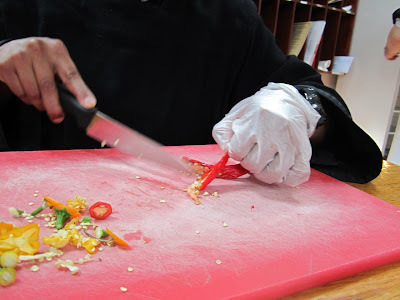 Seelos drops some chopped chilies into the bowl. In case the chilies are too hot for you, Br. Gerardo Maria, F.SS.R. has some other greenhouse produce. 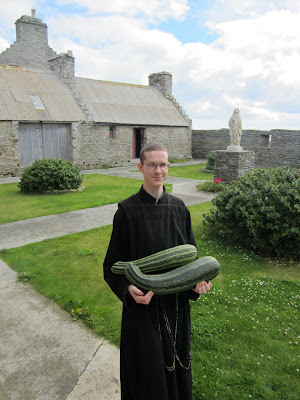 No, these are not marrow, but courgette/zucchini!! They are also the average size of all our courgette/zucchini. "They must be tough having left them on the plant so long" I hear you cry. Not so. These Courgette/zucchini were picked just one week after they were pollinated! 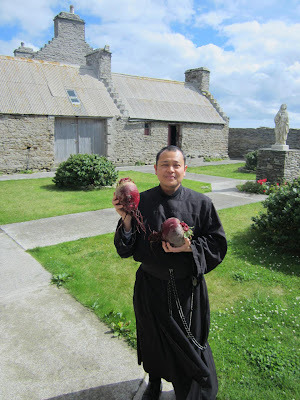 Or perhaps some beets? Our beets have also grown with great rapidity and to a large size, not so far off the size of Br. Alphonso Maria's head in fact! 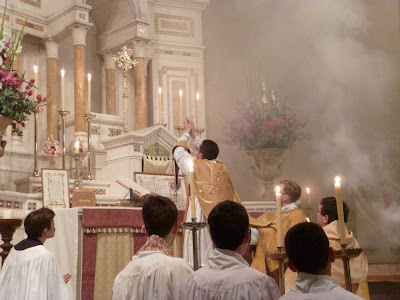 On the Isle of Sheppey in Kent, in a small, once Toc H, chapel duly decorated for the Sacrifice of the Mass in the Extra-ordinary form, five young men gathered around a young Redemptorist priest who was offering the Holy Sacrifice of the Mass. 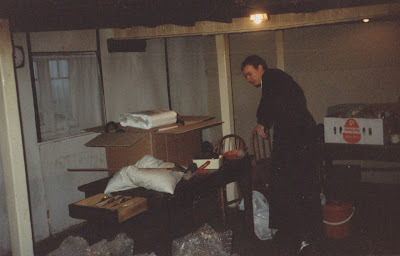 It was the Feast of Saint Alphonsus 1988. On this day then, began the foundation of a religious community that would follow the Rule written by Saint Alphonsus Maria de Liguori and which would finally receive the blessing of the Church to become the Congregation of the Sons of the Most Holy Redeemer. Today, twenty Five years later, a Sung Mass in honour of Saint Alphonsus was offered in thanksgiving to God and Our Blessed Lady for all the graces and blessings received. The ones we know about and the ones known only to God. We share this joy with all of you, and wish to thank everyone that made our foundation a reality. Many have passed to their eternal rest, others still await the reward God has prepared for them - to one and all, we say thank you and may God ever bless you all. 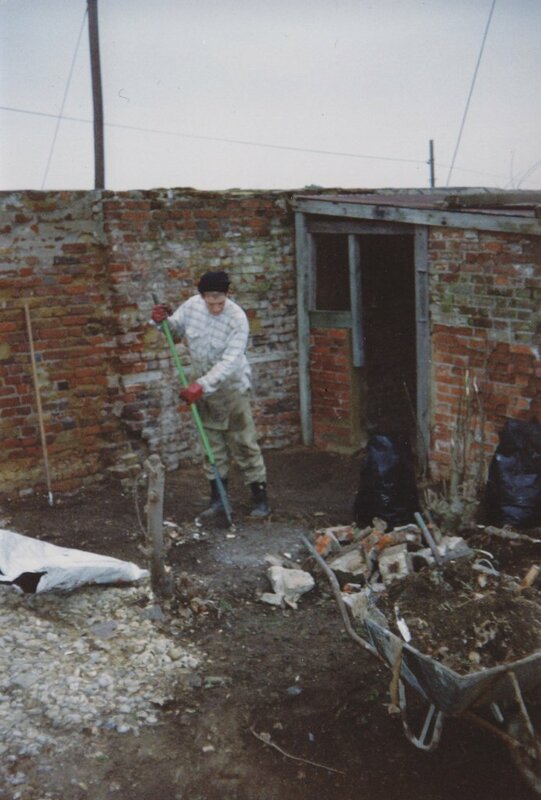 Below are a few photos from the past which may bring back some happy memories. 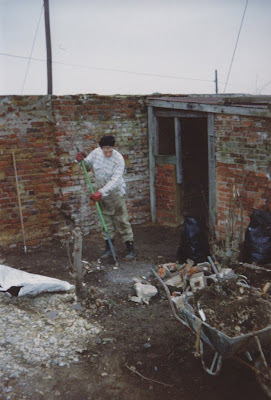 Br Nicodemus as a young postulant clearing out the chicken coop. 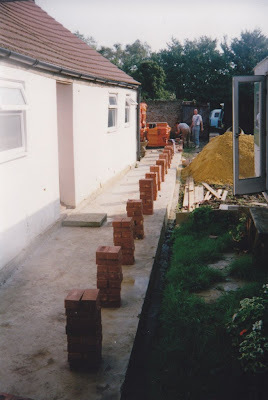 Building works in progress to link the Sacristy to the Chapel. 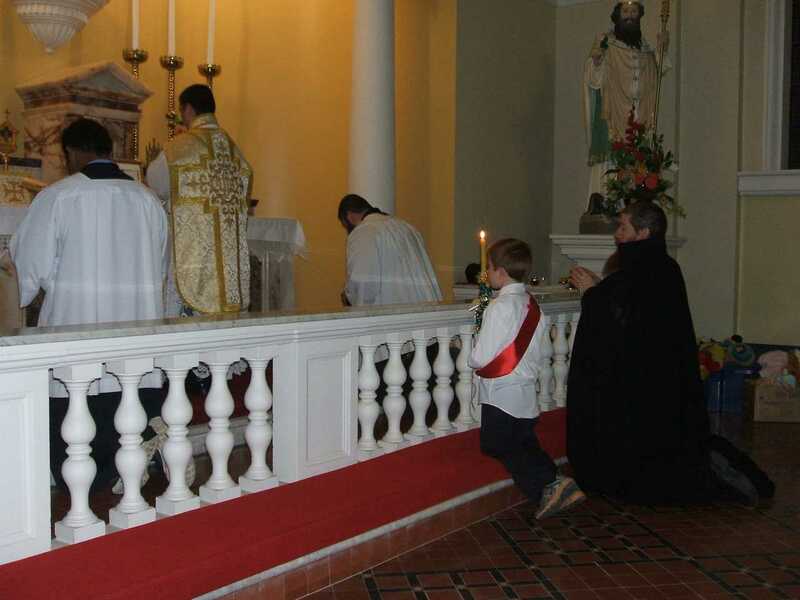 which served as sacristy for over three years. on their return from an outside trip. 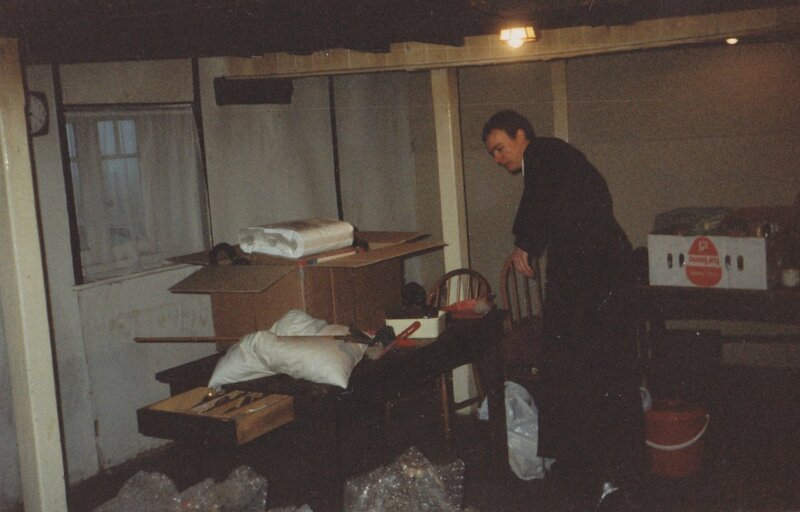 This is taken at Guildford where we lived for a year. Site of the Sacristy, Bell Tower and Annex rooms. Father Anthony Mary as a novice hanging out the washing. The future chapel can be seen behind the tree on the left. Every monastery needs a cloister. 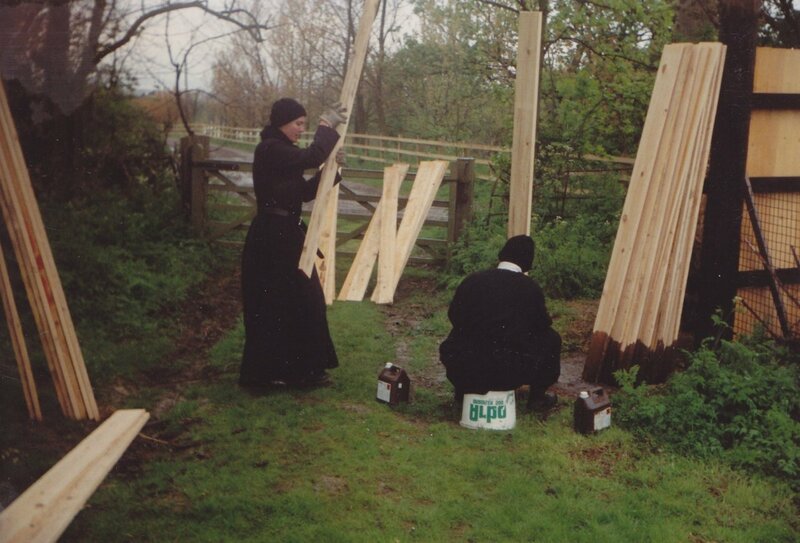 Here the brothers prepare the wood for the enclosure fence. 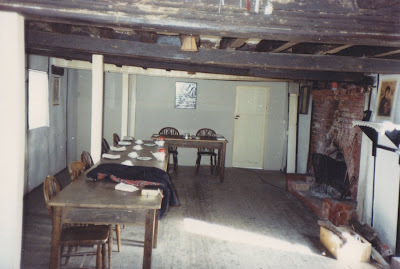 The refectory in the early days. Oliver Cromwell stabled his horses here, once upon a time. The ceiling beams were used from dismantled wooden ships. 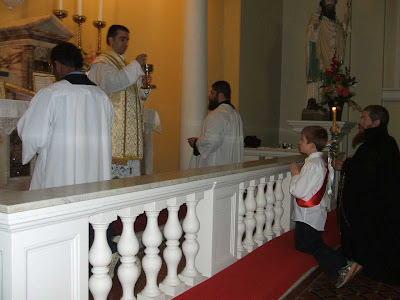 Solemn High Mass for the Profession of one of the brothers. 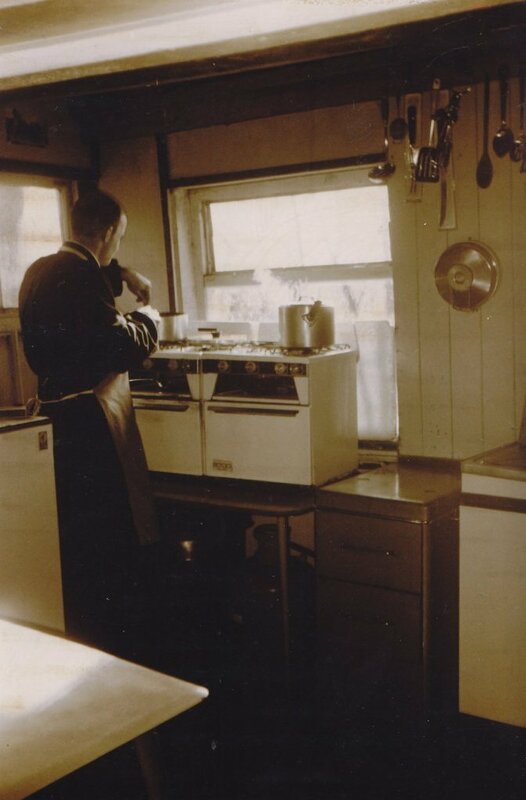 Br Gerard Maria prepares breakfast.